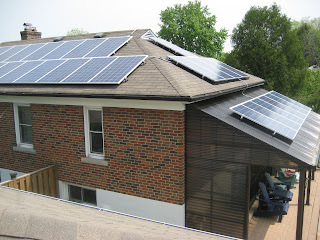 If someone living in Toronto (or the GTA) wanted to go off the grid with their home, how much electricity would they need to be producing, and how much would that cost to produce that much electricity using solar power? And for simplicity's sake we shall use a 3-bedroom home with 2000 square feet as an example (pretty much the most average home you can buy in Canada) when asking companies for quotes, which typically would be using about 600 kWh per month. Some people obviously use more than that, some a lot less. I found one website where a person said they used to use 700 kWh per month but have since cut their usage down to 180 kWh per month. Clearly there are two ends to the spectrum with the average in the middle. I am looking for quotes for what it would cost to install solar panels and a battery system on our property to produce 600 kWh per month. We would like to be completely off the grid. We are also interested in learning more about solar thermal too." The problem with such websites is that they are actually selling leads to other people. I submit to one website, I will probably get 5 or more quotes from different companies - and they are paying for the potential lead. The people contacting me are salespeople... they just want to make a sale. They don't know I am only researching this to determine what companies are out there, and what prices they are offering for their respective systems. Thus I submitted the above text to 5 websites. If I only get 25 quotes or less that will be more than enough for my purposes. July 20th Update - During the last 15 days I got only 1 company to respond. So much for my guess of 25 quotes. I got 1 and they refused to even provide a quote. #1. "Please send us your phone number." The first company to respond asked for my phone number. I don't give out my phone number online, except to friends and clients. Why? Because then people start phoning me while I am teaching an archery lesson. My clients are typically paying $0.66 to $1 per minute for my archery lessons (because I am really good at teaching and really expensive to hire). So even a short phone call means I have to extend the lesson so the client gets their full monies worth... plus it interrupts the flow of the lesson and the learning process, so I really prefer to keep my phone number private. eg. I usually only answer calls from my wife or my mother while I am teaching, and only because it might be an emergency. I strictly only want quotes via email. Update - And that is the only company to have responded thus far. It has been 15 days, 1 response. I notice that a lot of these companies don't like to list their prices on their websites. Is this because the prices are negotiable? In which case, can a person simply lowball their quotes and offer a different amount for the job to be completed? Clearly if the prices are negotiable, then it means that the initial price they offer is intended to gouge the customer for their money by overcharging them. So a smart customer should then demand a lower rate for the same products and service, because clearly there is some haggling involved. "I see you don't list prices on your website, which means prices are negotiable and people are expected to haggle. So lets haggle." Maybe then they might rethink their business strategy and then list the prices on their website. #3. "Please provide your address." We would at least need your address to provide a quote. Kindly let us know your address. Thank you. What difference would my address make? I live in Leaside. Would it make a difference to the price if I lived in Rosedale or Beaches? Do you quote different prices based on the neighbourhood? I just want a quote for a solar system that produces 600 kWh per month that includes a battery system. Is that not sufficient enough to give me a quote? If you cannot provide a quote for such a system I will take my business elsewhere. And no response after that. Clearly I was not being cooperative, however to be fair I am asking a simple question and my address in Toronto really should not matter at all. Now is this because I refused to provide my phone number and my address in Toronto? I think it is deeply connected. I also think these companies are basically stalkers looking to make a sale, and they have no respect for privacy. I left negative reviews for "New Dawn Energy Solutions" on both Google and Yelp. Maybe when they notice the reviews they might actually provide a quote, but even if they did I would recommend people to NOT hire that company because any company that refuses to give a quote because they really want your phone number and address is a company so focused on sales that they have forgotten the saying "The customer is always right." and what should be a new saying "Respect the customer's privacy." Clearly the price of installing solar panels isn't the only hurdle. It is their horrible customer service. But is that just 1 company? Well nobody else responded. Say what you want about New Dawn Energy Solutions, at least they responded - and later snubbed me when I refused to provide an address. 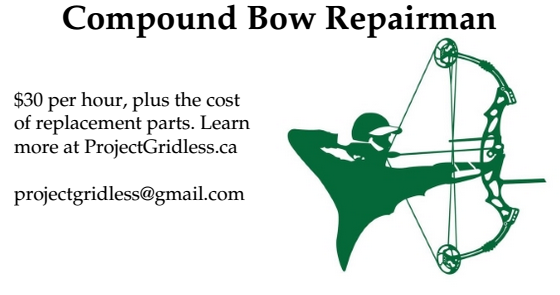 Last Saturday I was talking to someone at the Toronto Archery Range and they mentioned how these companies can now use Google to input your address into a map search, they can then calculate the size of your roof and provide an estimate of how many solar panels can be put on your roof, and how much energy that will provide, and how much it will cost. While that it is handy, the home in my situation hasn't been built or purchased yet. I want to know the cost of installing what I want, BEFORE I go out and buy the house. This way I know how big the roof needs to be. But the companies are so focused on using their little map gadget they are ignoring a simple enough question. A roof can always be extended or lengthened to add more room for solar panels. If someone really wants the extra solar power, they can just make the roof wider. This whole ordeal makes me more interested in wind turbines - which dollar for dollar provide more electricity than solar power does. And likewise hydro power - which is trickier to do because you need a stream or river on the property, and you are probably not legally allowed to dam it and would need to use other methods of gaining hydro power from it without a dam, but hydro power provides way more energy than either wind or solar, and thus it is worth investigating. Solar is still an option, but finding a company that can provide a quote may be a challenge. I may have to just phone companies and point blank ask them for quotes (and refuse to give details about where I live). "The property hasn't been built yet." Whatever.